Buffalo Soldier Heritage Day in San Angelo, Texas. 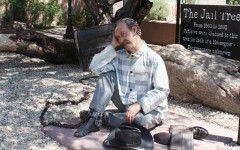 Western roundup of events where you can experience the Old West this February. Cripple Creek, CO, February 9-18: Watch sculptors carve ice into works of art, plus enjoy a liquor luge, ice snacks, an ice slide and ice maze. Fort Worth, TX, closes February 4: Exhibition of equine photographs by Constance Jaeggi revealing the individual personalities of horses. Ellensburg, WA, February 15-17: Celebrates traditional cowboy art, poetry and music, plus offers workshops on cowboy gear and art. Litchfield Park, AZ, February 15-17: This art and entertainment show promotes award-winning Western and American Indian artists. Grand Island, NE, February 16 through April 8: The region’s largest art exhibit dedicated to life on the Platte River. 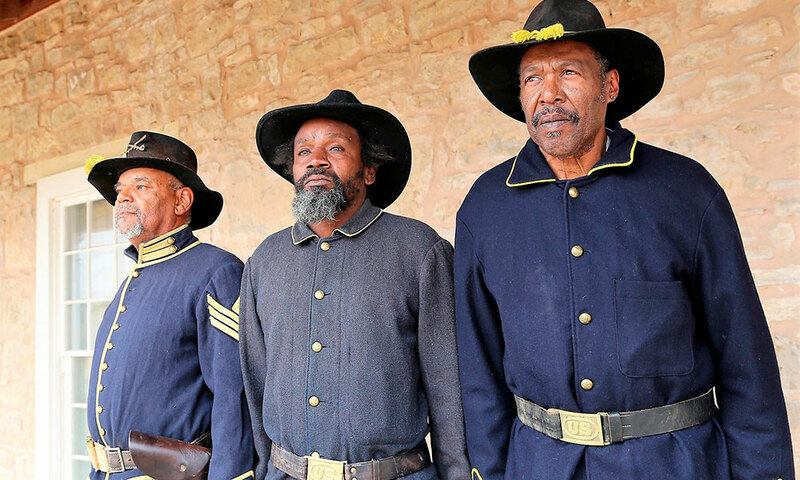 San Angelo, TX, February 25: Join the Fort Concho Buffalo Soldier Living History Unit as they honor the nation’s black troops. Gold Canyon, AZ, February 9 through Mar 31: Old West time travelers take in medieval arts and crafts, jousting tournaments and games. Scottsdale, AZ, February 9: Experience Old West fun with a parade and the Trail’s End Festival featuring shopping and live music. Brownsville, TX, February 18-25: Brownsville’s residents honor their heritage at the biggest celebration in the Rio Grande Valley. 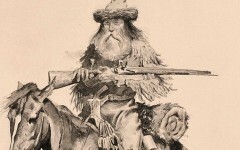 Golden, CO, February 26: Observe the Wild West showman’s birthday with costumed guides for Buffalo Bill Museum exhibits and birthday cake. Scottsdale, AZ, February 14-24: About 2,000 horses compete for more than $1 million at this horse show that also features equine seminars. Fort Worth, TX, Closes February 3: Offers up numerous days of livestock and horse shows, rodeos, concerts and food. San Antonio, TX, February 8-25: Features PRCA and ranch rodeo competitions, livestock shows, and Country concerts. Kearney, NE, February 17-25: This celebration features a ranch horse rodeo, competitions, a sale along with draft horse team races. Arlington, TX, February 24-25: The top 10 rodeo athletes in the world compete in seven events at the world’s richest one-day rodeo. Wickenburg, AZ, February 8-10: Honor Wickenburg’s mining and ranching origins at this pro rodeo featuring a carnival and concerts. 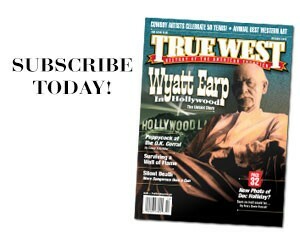 Visit TWMag.com to view more western events. 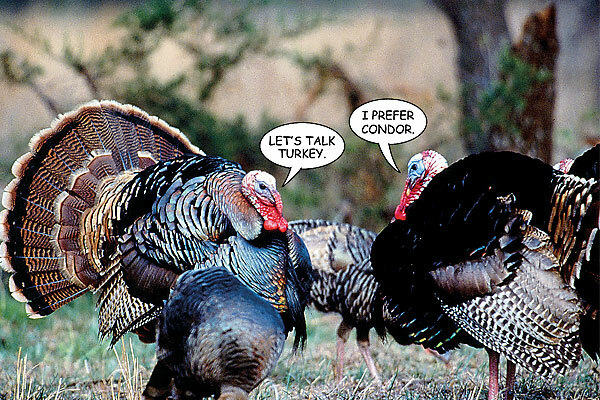 Worst Turkeys of the West Gobble gobble goofs that will make you laugh.